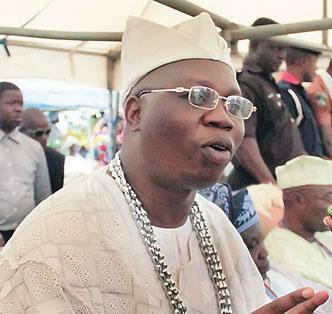 Otunba Gani Adams will be installed as the 15th Aare Onakakanfo of Yoruba land on Saturday. Ahead of the ceremony slated for Oyo town, Adams speaks on his agenda. As an advocate of restructuring, how do you use your new status to champion the cause? I said it immediately after my proclamation that I will be moderate in my radicalism. But I will continue to agitate for restructuring because that is my background. That is the way to go to liberate Nigerians, it is a cause that can give us peace, a buoyant economy and make us a prosperous nation. So the issue of restructuring does not lie on the Yoruba only, it is for the benefit of Nigerians irrespective of race. Moreover, the Aare Onakakanfo is a statesman’s position, you have to be moderate in your utterances, you need to be careful on how you handle issues. But I am not an agent of the state that will be cowed. I will build a good relationship with the federal, state and local governments across the country. You suggested the merging of the 1960 and 1963 constitutions. What informed this position? So much efforts have been made in the past to restructure Nigeria and, each time you make an effort, the government gives an excuse not to restructure. 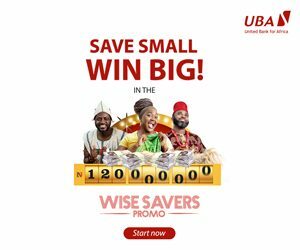 Initially, the recommendations of the 2014 National Conference would have been a way to solve the problems of this country but there was an excuse from certain quarters, especially from the All Progressives Congress, APC. As a party, it did not support the National Conference. Interestingly, all the governors from the APC states sent representatives and some of their products, who are now senators and members of the House of Representatives, were delegates at the conference. Notwithstanding, if they don’t want to accept the recommendations of the 2014 National Conference, we have another option for restructuring. I will not support that Nigeria convenes another conference, it will be an exercise in futility. I believe we have a background. When we got independence in 1960, we had one of the best constitutions that was written by our people; we had another in 1963 and that is the reason I suggested we merge the 1960 and 1963 constitutions. A team of 50 ‘wise men’ should be set up to harmonize the two constitutions so that each region can develop at its own pace. There are so many traps in the 1999 constitution one of which is that it deflates the three tiers of government. I say so because you have a joint account for two tiers of government, the state and local governments, which cannot work. One will be a servant to the other. So, we need a new constitution. I do not know why some northerners are scared of restructuring because that is how they were afraid when the Western Region proposed self-government in 1957 but, at the end of the day, they agreed that Nigeria should have Independence in 1960. The North is the major beneficiary of the country’s independence. We need to solve the problems of this country because we cannot pretend that there are no problems. Those who destroyed Nigeria will work harder to further destroy it. On our part, we need to work harder to repair it and that is why I am fully in support of restructuring. One of the challenges you will be facing as Aare Onakakanfo is the menace of Fulani herdsmen in the South-West and the resurgence of the Badoo cult group in Ikorodu. How do you intend to collaborate with security agencies to resolve the challenges? The Aare Onakakanfo is a modernized one starting with the late Chief Samuel Ladoke Akintola in 1965 and the late MKO Abiola in 1988. We are the modern Aare Onakakanfo. I will collaborate with security agencies. We have the army, the navy, the air force, the police, the DSS and the civil defense corps saddled with the responsibility of protecting lives and property of Nigerians but we can complement their efforts. We did that with the new Commissioner of Police in Lagos without economic interest. It was around that time that he was appointed to his new office. It was also around that period that I was proclaimed the Aare Onakakanfo. God has a way of compensating people for doing the right thing. So, I will collaborate with security agencies and liaise with the South-West governors. I will liaise with all groups and stakeholders in the region, not on the basis of violence but using intellectual approach to resolve issues and adopting a peaceful way to secure our environment. Do you have any recollection of a day you will never forget during your struggle as an activist? A lot, I cannot sum it up because, as an activist, you experience happy and sad days. I cannot even remember the one that I can say is the worst. I have seen a lot. I have witnessed a situation where the state will lock you up for 14 months, when the state will victimize you, when some of your members wil be killed in cold blood by criminals and cult groups. I cannot remember the saddest day. As you pick up the mantle, what should be expected of you? Unity. I will work to unify the Yoruba race. I understand that some Yoruba monarchs and leaders have been involved in bringing about unity in Yoruba land. I will collaborate with them to ensure we attain unity. Unity is the only lapse we have in Yoruba land; we have the best brains, we have the resources, we have an advantage of good education, intelligent products. The Yoruba is rated as one of the most intelligent race in the world but the only problem we have is disunity. Secondly, I will work towards promoting our culture and tradition. I will also be involved in charity. The post I will moderate my radicalism- Gani Adams appeared first on Vanguard News.